Here’s a look at the coolest new hotels opening around the world in October, from Ritz-Carton’s Swiss entrée to millennial chasers in New York and Tel Aviv. Three Interesting Facts: 1. 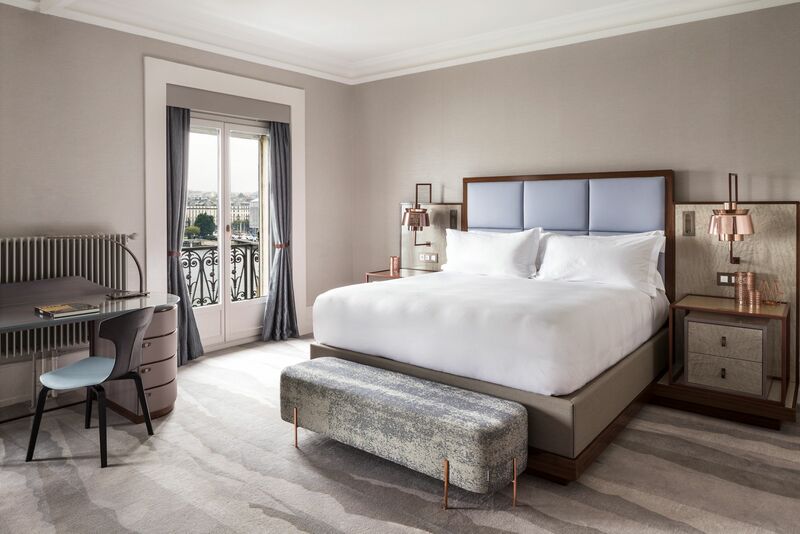 Believe it or not, this is the first Ritz-Carlton property in Switzerland, a total re-do of the historic 152-year-old Hotel de la Paix, a Lake Geneva grand dame whose guest list includes Grace Kelly and Orson Welles. 2. Ritz did a beautiful job on the renovation, preserving the hotel’s architectural bones while bringing the design into the 21st century. 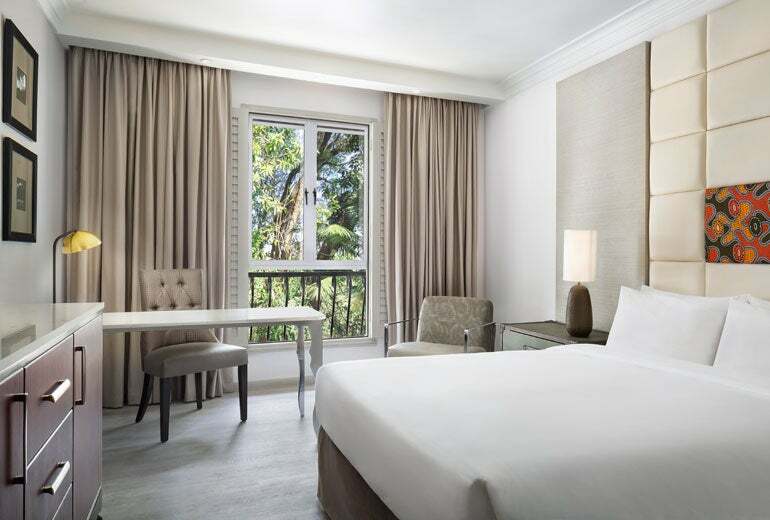 The refreshed rooms have padded leather headboards, rose gold lamps, faux-fur throws and floor-to-ceiling windows. You’re guaranteed a full or partial lake view from all categories except classic rooms, deluxe rooms and junior suites. 3. There are two restaurants to check out — the all-day Living Room and the Nordic-inspired Fiskebar — if you can prevent yourself from eating every meal at Master Swiss Chocolatier Philippe Pascoët’s onsite chocolate boutique. Price: From $479 or 50,000 Marriott Rewards points per night. Book with the Marriott Rewards Premier Credit Card to earn up to 5x points on your stay. Image courtesy of The Ritz-Carlton Hotel de la Paix, Geneva. Three Interesting Facts: 1. Marriott’s peppy millennial brand comes to Times Square with a super-sized 600+ footprint on 36th and 7th. Moxy’s brand touch-points include fast, free Wi-Fi, complimentary coffee in the lobby living room, activated social spaces and flexibly formatted rooms. 2. Designed by Yabu Pushelberg, the Moxy’s rooms have a variety of different set-ups, from a conventional queen beds to quad bunks and toe-to-toe doubles. The spaces are built to change with your needs — tables and chairs, for example, can be collapsed and hung up on pegboards to create additional floorspace. 3. 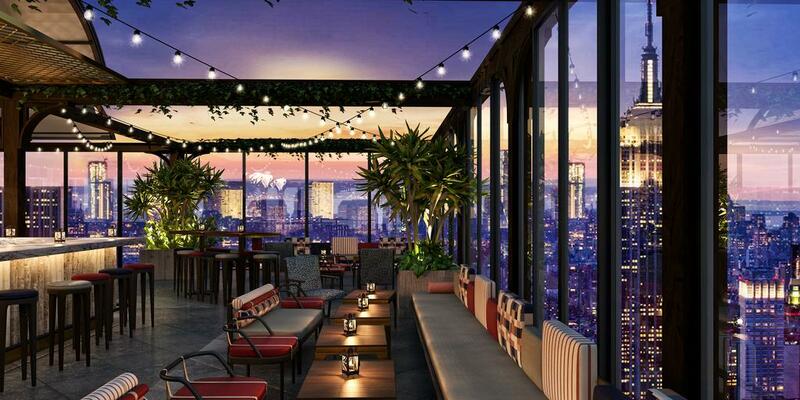 The hospitality company behind TAO handles all the F&B, including the rooftop Magic Hour, where you’ll find mini-golf, a carousel, funhouse mirrors, oversized animal topiaries and skyline views. Price: From $139 or 40,000 Marriott Rewards Points per night. Book with the Marriott Rewards Premier Credit Card to earn up to 5x points on your stay. Image courtesy of Moxy Times Square. Three Interesting Facts: 1. If you’re doing a safari in Tanzania, chances are you’re transiting through Arusha, a small town with a teensy, single-story, regional airport (ARK) and many travelers arriving from Dar Es Salaam or Zanzibar en route to the Serengeti and Ngorongoro Crater. So it’s nice to have a points option — the first — in Arusha in case you want to break up a safari or recover a day on the back end before flying home. 2. The hotel, centrally located on the city’s clocktower circle, is one of two Four Points opening in Tanzania — the other is in Dar Es Salaam, the capital. It’s not a new build, but a rebrand of the historic Arusha Hotel, which has been in business since 1894. Surrounded by tropical gardens, it has a villa vibe Starwood has enhanced with a full renovation. 3. Coffee is big business in Tanzania, and the hotel’s café grinds and brews local beans. Price: From $144 or 4,000 Starpoints per night. Book with the Starwood Preferred Guest Credit Card from American Express so you can earn up to 5x Starpoints on eligible Starwood stays. Image courtesy of the Four Points by Sheraton Arusha. Three Interesting Facts: 1. 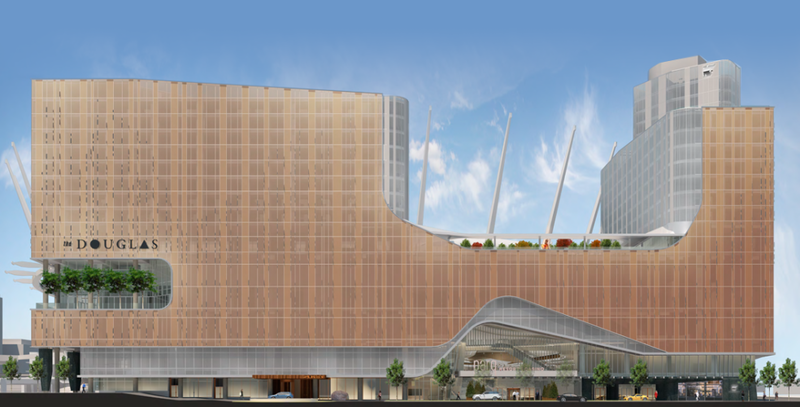 The first JW in western Canada, this hotel is part of Parq Vancouver, a downtown entertainment zone whose main building looks like a mirrored ice cream sandwich somebody took a bite out of. JW occupies one side of the bite, while an Autograph Collection property, the Douglas, takes up the other. 2. The JW offers a clean luxury look with neutral colors and neat lines, while the Douglas takes its cues from the firs for which it’s named and accents its rooms with warm wood details. 3. The two hotels share amenities, chief among them a 30,000-square-foot elevated park planted with native trees. Price: Both properties from $279 or 40,000 Marriott Rewards Points per night. Book with the Marriott Rewards Premier Credit Card to earn up to 5x points on your stay. Image courtesy of Parq Vancouver. Three Interesting Facts: 1. If you’ve spent any time vacationing in New England, you might be familiar with Lark Hotels, a boutique group with properties in Newport, Nantucket and Martha’s Vineyard. This hotel marks its sophomore effort in Salem, opening just in time for the Halloween hoards that descend on the town each October. 2. The Hotel Salem lives in the historic Newmark’s Department Store on the town’s pedestrian mall, a past to which the design throws back with midcentury furniture and fashion-industry curios. 3. Two restaurants, Counter Kitchen & Bar and The Roof — located guess where — help deepen Salem’s dining options. Price: From $159 per night. Book with the Citi Prestige Card to earn 3x points on your stay and take advantage of its nifty 4th Night Free perk, or the Chase Sapphire Reserve Card to earn 3x points on travel purchases — the Chase Sapphire Preferred Card lets you earn 2x points on travel as well. Image courtesy of Lark Hotels. Three Interesting Facts: 1. 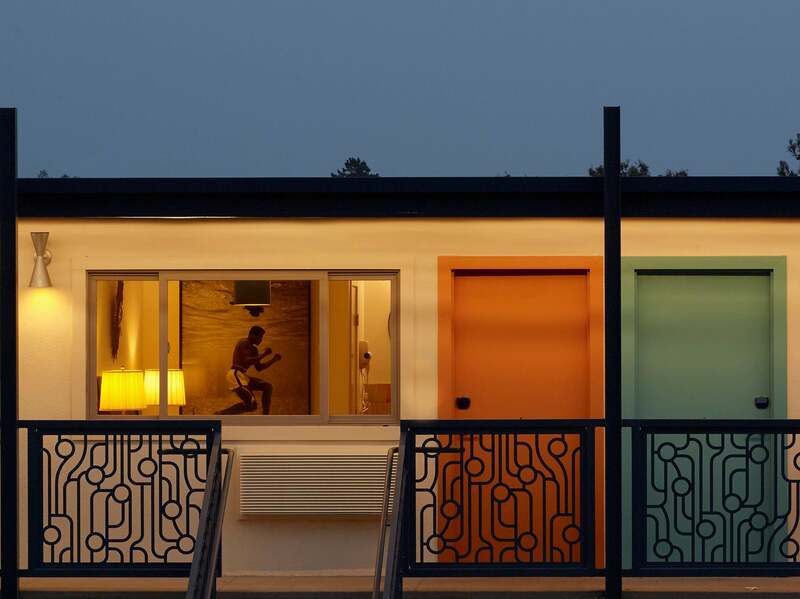 This independent hotel in Sonoma County comes from the team behind the Spinster Sisters, a restaurant in Santa Rosa’s downtown arts district — they’ve rescued the old Astro, a circa-1960s motor lodge, and brought it back to life with circuit board-inspired railings, concrete casted sinks and native wood headboards, all crafted by local artists and artisans. 2. Cycling is central to the motel’s DNA. There’s an onsite repair specialist, fleet of Shinola rentals and cycling maps custom designed by a local illustrator. 3. Like the desk or vase you see in your room? The owners scoured antique and vintage shops for much of the midcentury décor and furniture, and it’s all available to purchase and take home with you. Price: From $155 per night. Book with the Citi Prestige Card to earn 3x points on your stay and take advantage of its nifty 4th Night Free perk, or the Chase Sapphire Reserve Card to earn 3x points on travel purchases — the Chase Sapphire Preferred Card lets you earn 2x points on travel as well. Three Interesting Facts: 1. 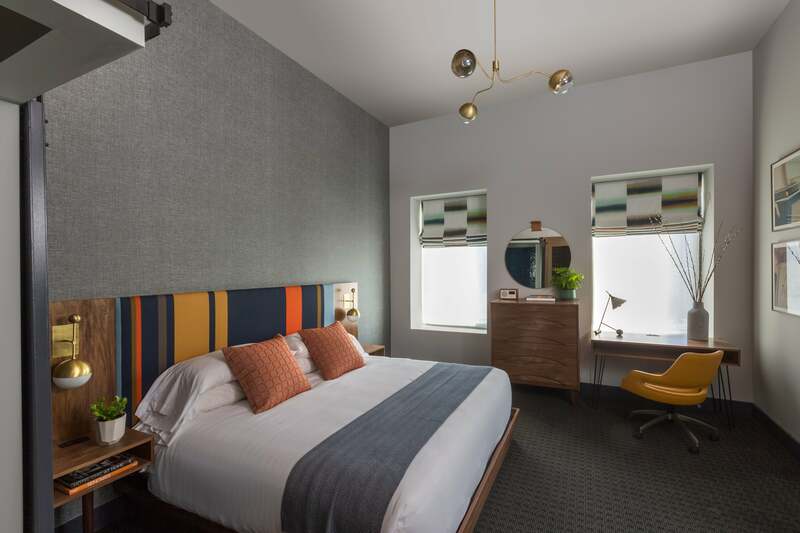 This is the first New York Pod outside Manhattan; Pod 51 and Pod 39 opened in 2007 and 2012, respectively, and now developer BD Hotels are betting on the boroughs for its budget-focused millennial customers. 2. Like Marriott’s Moxy brand, lively communal spaces supersede the small rooms (average: 100 square feet) with queen and bunk configurations. 3. April Bloomfield and Ken Friedman — of Spotted Pig, the Breslin and White Gold fame — are on tap for the food, while a Salvation Taco will open onsite later this month. Price: From $125 per night. Book with the Citi Prestige Card to earn 3x points on your stay and take advantage of its nifty 4th Night Free perk, or the Chase Sapphire Reserve Card to earn 3x points on travel purchases — the Chase Sapphire Preferred Card lets you earn 2x points on travel as well. Three Interesting Facts: 1. Targeting the elusive millennial traveler isn’t just an American pursuit, as proven by this new entrant from Israel’s Brown Hotels. Dave is billed as “A Son of Brown,” the first in a series of planned offspring with a youthful, baller-on-a-budget vibe. 2. A short walk to the Mediterranean, The Dave lives in a five-story building infused with a ‘70s flea market aesthetic — guests here should really like the color red. 3. The hotel’s coolest amenity: a slide — yes, a slide — linking the rooftop lounge and the Yard, the courtyard that connects to the tattoo shop/lobby. Price: From $120 per night. Book with the Citi Prestige Card to earn 3x points on your stay and take advantage of its nifty 4th Night Free perk, or the Chase Sapphire Reserve Card to earn 3x points on travel purchases — the Chase Sapphire Preferred Card lets you earn 2x points on travel as well. 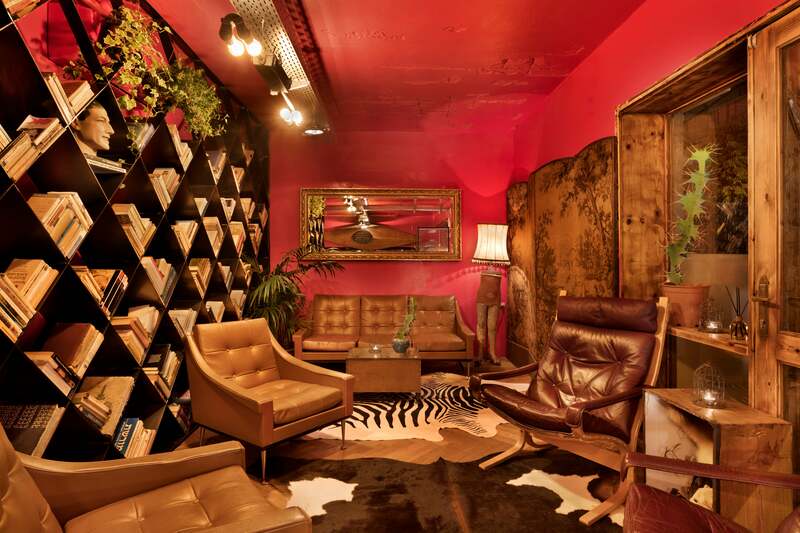 Image courtesy of Brown Hotels. Three Interesting Facts: 1. 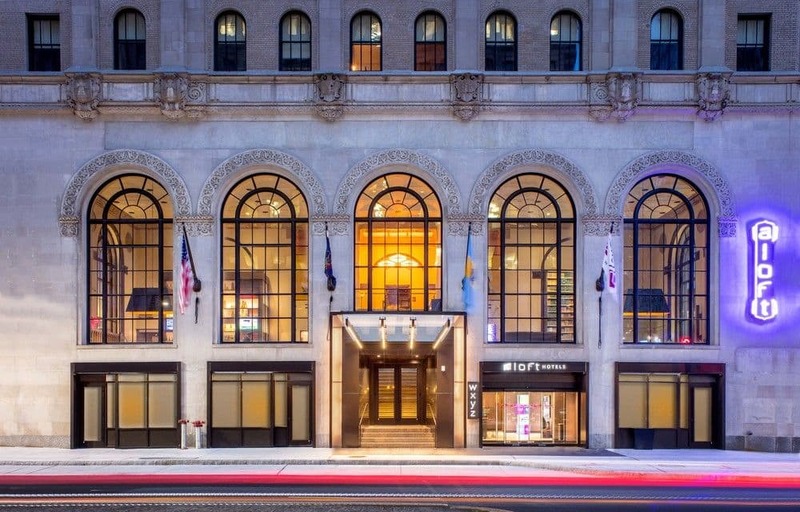 This is the second Aloft in Philly, but the first not located by the airport — you’ll find it in the historic Liberty Title & Trust building on Broad Street, the city’s spinal column, just north of City Hall and within walking distance of the Convention Center and Chinatown. 2. For decades in both quantity and quality, Philly’s hotel stock has lagged behind other major cities, inflating room prices for a mostly average product, which is why even something as unremarkable as an Aloft is news here. Rooms are bright and neat with vivacious pops of teal, ergonomic workstations and mini-fridges. 3. Lots of specials are happening at the property — think 15% off the room rates for stays through November 30th and a bonus 500 Starpoints for all stays through mid-January 2018. Price: From $175 or 10,000 Starpoints per night. Book with the Starwood Preferred Guest Credit Card from American Express so you can earn up to 5x Starpoints on eligible Starwood stays. Three Interesting Facts: 1. Located at LAX, H is a new brand and a member of Hilton’s Curio Collection seeking to “disrupt” the airport hotel experience. It shares a building with a Homewood Suites. 2. The design theme is a real reach — aviation — but it’s rendered in subtle, stylish ways, like a mobile of aluminum paper airplanes and an LED mural of an ever-shifting sky. Rooms and the rooftop lounge overlook the runways. 3. Billed as a cousin to the Jetsons’ Rosie, H employs a robotic butler named HANNA. Need a snack or forgot a bath product? Just call up HANNA, who can navigate elevators and hallways on her own, for the item to be delivered right to your room. Price: From $249 or 45,000 Hilton Honors points per night. Book with the Hilton Honors Surpass Card from American Express, which lets you earn 12x points on stays at eligible properties within the brand’s portfolio of hotels and resorts. Featured image courtesy of The Ritz-Carlton Hotel de la Paix, Geneva.